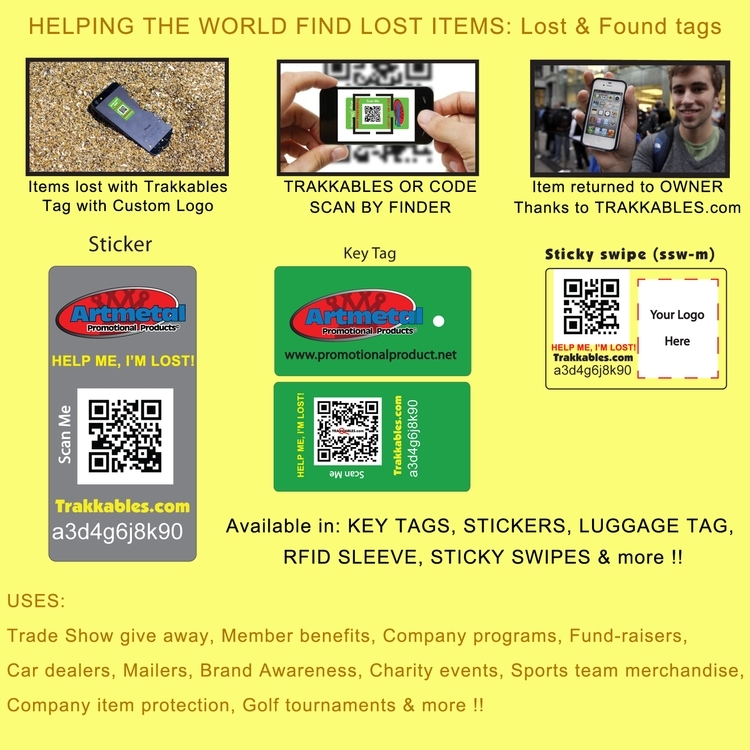 Helping the world find lost items: Lost & Found Tags. 1)Items Lost with Trakkables Tag with Custom Logo. 2)Trakkables QR Code Scan by Finder. Key Tags, Stickers, Luggage Tag, RFID Sleeve, Sticky Swipe & more! !.